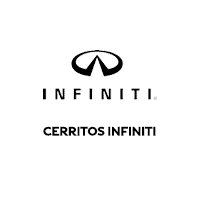 Auto loans at Cerritos INFINITI are easy. Our INFINITI auto finance department is committed to helping our customers with their credit approval needs. Aside from choosing the right vehicle for you, financing is your second biggest decision. Now you can be approved in just a few hours; in some instances, just a few minutes. Simply fill out our short application form and we’ll get right to work for you. An Internet financial advisor may contact you with your various loan/lease options, approved APR rates, and any updates to INFINITI specials. INFINITI Financial Services (IFS) offers simple, flexible programs to help you acquire a new or pre-owned INFINITI. Whether you’re financing or leasing, IFS has attractive rates, easy terms, and the expertise to ensure a variety of financial options with services individually tailored for your convenience – a trademark of the INFINITI Total Ownership Experience®. Service Loan Car To make your service experience as convenient as possible, we are dedicated to providing you a complimentary Service Loan Car whenever your INFINITI is in for warranty repair. Roadside Assistance If you get a flat tire, run out of gas or need other assistance, we offer Roadside Assistance 24 hours a day, 365 days a year. Trip Interruption Benefit In the unlikely event that your INFINITI experiences a breakdown more than 100 miles from home, an INFINITI representative can authorize Trip Interruption Benefits covering such costs as transportation, lodging and meals for you and your companions. You can rest assured that no matter how unexpected the circumstances, your driving experience will always be as worry-free as possible. For full details about the INFINITI Total Ownership Experience®, contact us at (888) 262-3167. We’re your local INFINITI dealer providing exceptional sales and service.